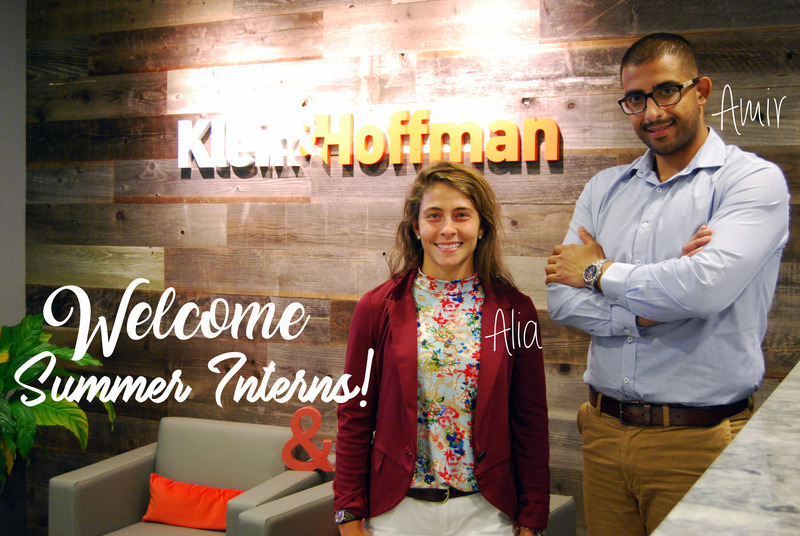 Klein & Hoffman is excited to welcome our talented summer interns! Alia Abu-Douleh recently graduated from the University of Illinois with her B.S. in Architectural Studies. Alia will be heading out east this fall to attend the University of Maryland to pursue her Master’s in Architecture. Fun Fact: Alia has a twin sister who will be moving to Maryland with her. Alia and her sister saw Parent Trap and now like to play practical jokes on people by switching places. Amir Amirzadeh obtained his 2 Master degrees; M.Arch. and M.Sc. from the University of Illinois and is pursuing his Ph.D. in Architecture with a concentration in Building Science and Technology. Fun Fact: Amir is a self-taught master chef who loves grilling burgers and kabobs. His ultimate goal is to win Master Chef – look out Gordon Ramsey!